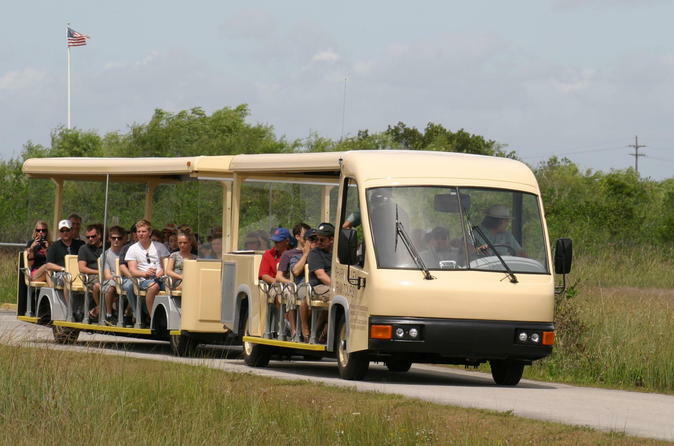 After arriving at the park at your chosen time, you will board the tram for a 2-hour tour through the Shark Valley section of Everglades National Park. Led by park trained naturalists, your guides will give you insight into the ecosystem as a whole and will also help point out some of the hidden aspects which help to make this a world renown wetlands. The open vehicles allows you to view wildlife within the Sawgrass prairies on either side of the tram. At the half-way point of the tour, a 45-foot high observation deck gives you an opportunity to enjoy the tranquil vistas of the Everglades, extending outward 20-miles in all directions. A gradual ramp provides easy access to the observation tower deck, and every part of the ramp and deck provide chances to view something different.